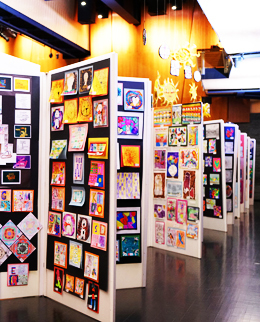 The county-wide Student Art Show will be held May 6 -10, 2019 in the Atrium Entrance at Belvidere North High School. The opening reception will be held on May 6 from 3 - 5 PM. Students who have artwork entered in the show are invited to attend as well as their families, friends, and members of the community. Ribbons will be given to the first, second and third place winners. The Heidi Benzel Award will be given to a high school student for the Best in Show. There will be a $50.00 prize given to the winner in memory of former Belvidere student Heidi Benzel. The programs of the Boone County Arts Council are partially supported by a grant from the Illinois Arts COuncil Agency | © Copyright Boone County Arts 2019 | All Rights Reserved.